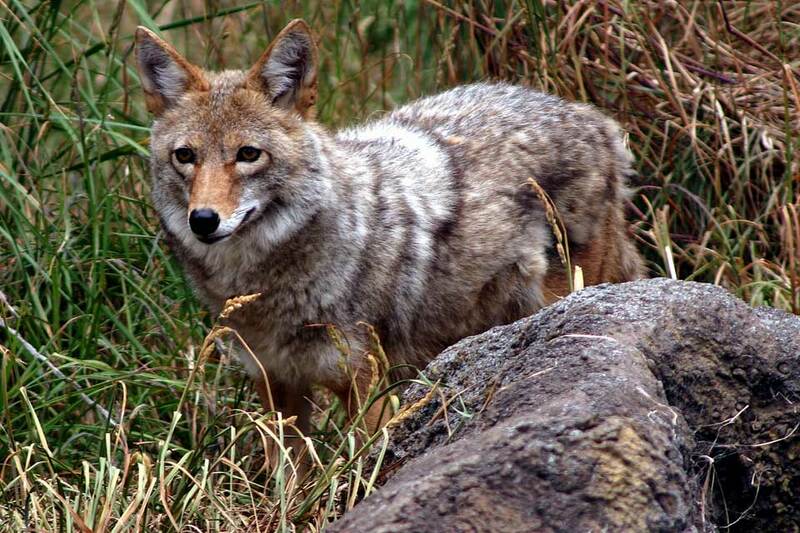 It is beneficial to have a few coyotes in the area to help take care of lesser predator numbers. 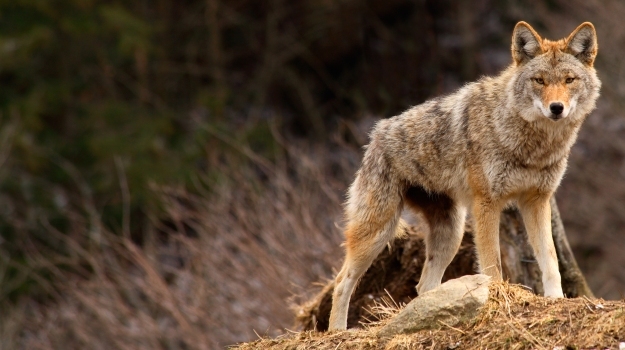 However, throughout much of the coyotes’ range there is an imbalance of too many coyotes. With all the time and effort that we as gamekeepers put into conserving and protecting the game animals we love to hunt, we hate to see predators have a big influence on their population. Predators play an important role in the food chain and are needed for balance, but left unchecked they can have a significant negative impact on deer, elk, turkey and many other game animals we love to pursue. The re-introduction and protection of wolves in parts of the north is a good example of a significant impact on large game numbers, and it’s still a growing problem in areas. While the average guy may not have to deal with a predator as large as wolves, almost all of us have smaller predators we should try to include in our predator management plan. With everyone seeing more coyotes when they are outdoors, they catch the blame for many of the issues facing game animals, especially whitetail fawn recruitment. Like it or not the “song dogs” are here to stay along with bobcats, fox, raccoons, etc. You can kill as many as possible on your piece of property and this will definitely “help the cause” when it comes to protecting game, but there will always be predators around. the chief nest predator of many game birds. They key to predator management is removal at the ideal time of year to have the biggest impact. The argument has been made that you need a few coyotes around to keep the other small predators in check and there is some research that supports this claim. However, no one likes the idea of coyotes playing a significant role in managing their deer herd for them. 1.) Trapping Program. One of the most effective ways to remove coyotes from a property is through an intense trapping program. One thing many people don’t realize is that fawning season coincides with when many coyote pups are born. Fawns are not only a favorite meal for coyotes, but they are also eating more this time of year in order to feed a litter of pups. Although trapping seasons vary on a state to state basis, the most effective time to remove coyotes through trapping is immediately before the peak in fawning activity for that region. Removing 70% of coyotes at the peak of fawning season can dramatically increase fawn recruitment rates. Recent studies have shown where recruitment rates were increased 150 to 215% on land where the majority of coyotes were removed at peak fawning time. 2.) Managing Buck to Doe Ratio. If there were ever a case for buck to doe ratio’s to be kept in check this may be as important as any reason. 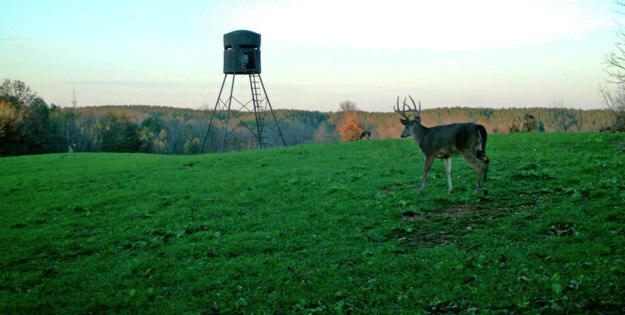 Land that is managed for 1:1 ratio of buck to does has a fawn drop that will happen all within about a 2 week period. This means all the fawns hit the ground at almost the same time making it much harder on predators to negatively affect the recruitment rate. When buck to doe ratios are more skewed and are more in the 7:1 range for example, the fawn drop is much more spread out because the does conceive at a multitude of different times, and predators such as coyotes have a much better chance of negatively impacting your overall fawn survival numbers. 3.) Disease Management.Coyotes and other predators can also suppress an already low number of deer from rebounding from natural die off, disease or an abused doe harvest. A section of a southern state that I grew up hunting was hit pretty hard about 7 years ago by EHD (epizootic hemorrhagic disease). Overall population of deer in this area looked to be down 50-70%. This massive hit to the population along with a very liberal doe harvest had numbers as low as the area had probably seen since the 1960’s. The area still seems to be struggling to rebound to anywhere close to previous numbers, and I believe the low quality fawning habitat, liberal doe harvest rules, and increased number of coyotes is keeping the deer in this area suppressed well below carrying capacity. This same scenario has been playing out in several areas, where in the past deer densities had been plentiful. 4.) Improve Cover. Another aspect in predator management and increasing fawn recruitment rates is providing adequate cover and fawn rearing habitat. Fawns ideally need tall, thick, grassy cover to hide in until they reach the age where they’re able to start following their mother. 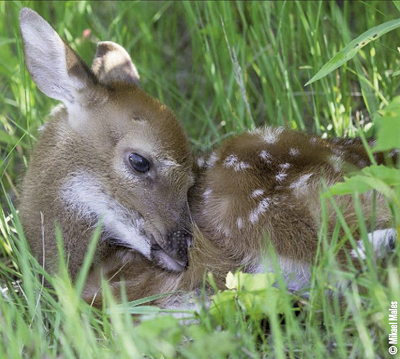 In a recent southeastern study, 65% of fawns taken by predators are killed in their first three weeks of life. Even areas with moderate to high predator populations can produce good fawn survival numbers when decent fawning cover is present. On the flip side, land that has very poor cover and fawning habitat can be heavily affected by even a moderate to low coyote population. Creating good fawn cover can be as simple as taking a chainsaw and doing a hinge-cut on a section of timber. The result of getting daylight to the ground in an area previously overshadowed by the thick canopy of leaves is a wealth of new native plants and grasses that will not only serve as great bedding cover, but also provide some food value to whitetails. 5.) Plant Native Warm Season Grasses. Native warm season grasses are another great way to create a positive environment for fawns and mothers. Unused pastures or low quality timber can be removed with heavy equipment to create two to five acre blocks to be planted in grasses such as switchgrass, Indian grass, big bluestem, etc. recruitment of basically all game animals on your property. It gives them cover to hide in and to escape into. Once established, the grasses are very tall and thick, and wind has a hard time penetrating the lower levels where fawns lay. This makes it very difficult for coyotes to be able to systematically hunt down fawns by smell. These same habitat improvements will also be beneficial in providing brood habitat and cover for turkey, quail, pheasant, and other small game. When you look at the number of predators that are opportunistic feeders of eggs, it’s a wonder a hen turkey ever has a successful nest hatch. However, even in my own predator management work, I have seen turkey and quail numbers respond very positively to a nest predator trapping program during late winter just prior to the spring nesting season. I have seen arguments made that trapping yields no measurable increases in small game numbers, however I attribute those claims to properties where the trapping was too short lived, on too small a property for sample size, not intense, at the wrong time of year, or game numbers not correctly monitored. 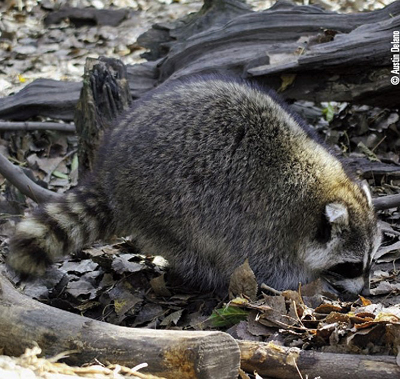 Nest predators such as raccoons, opossums, armadillos, skunks, etc are relatively easy to trap and a manager of smaller acreages can see significant results in an intense trapping program because of these varmints’ relatively small home range, especially when compared to coyotes. A very recent study done on large acreage tracts in Canada on “nest predator trapping for waterfowl” showed great success rates. 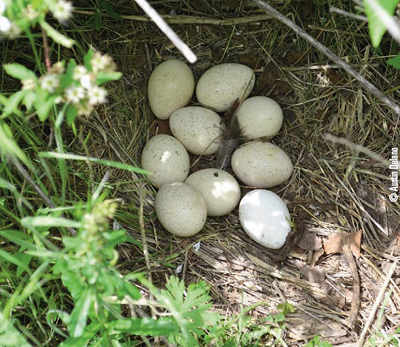 In multiple control areas, waterfowl nest success was less than one nest in 100. In adjacent blocks that were intensely trapped for nest predators, four nests in 10 successfully hatched! We will always be dealing with predators and they do play an important role in the prey-predator relationship. Hunting and trapping predators can certainly have a positive outcome for a period of time, but you are never going to completely rid yourself of coyotes or other predators. If you manage a piece of property and identify predators as being a primary cause for a decrease in harvest opportunities, low fawn recruitment, or poor upland bird nest success, look at implementing an intense trapping program. This, done along with improving habitat to give game their best chance at survival and keeping numbers balanced can have an enormous impact. In the circle of life predators have their place, and I’m certainly glad because they are so enjoyable to hunt and trap, however we as humans, being at the top of the food chain shouldn’t like the idea that these varmints may be competing against us and undermining our predator management efforts. 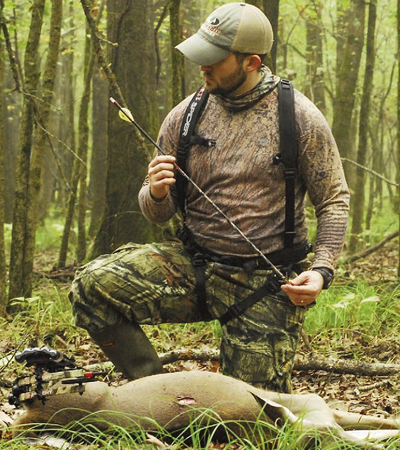 In the next issue, the second part of this article will focus on the actual act of trapping itself and some different sets and traps that can be used for different species.